Deep Shag® Records - Go Deeper! On The Road With Ellison Volume Seven is the latest report from Harlan Ellison and a life lived on the road. This 2CD set includes the first reissue of 1983's An Hour With Ellison. Did the author hang a noose in Gene Roddenberry's office? Where does Harlan get his ideas? Should he be in charge of Middle East peace? Join Harlan on the road and get inside the head of America's most outspoken wordsmith. This is Ellison live on stage and anything goes. 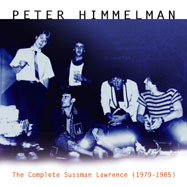 Sussman Lawrence, the legendary Minneapolis group that evolved into The Peter Himmelman Band, lives again with the reissue of its two distinguished and long out of print indie albumsHail To The Modern Hero! (1980) and Pop City (1984)in a strictly limited edition two-disc set entitled "The Complete Sussman Lawrence (1979-1985) which includes four rare bonus tracks. The Frantics comedy troupe ruled over Canadian radio from 1981 to 1985 and did several tours to the delight of tens of people. 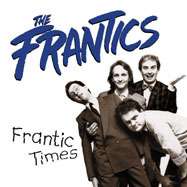 Frantic Times is a collection of their best sketches and songs reissued on CD for the first time. Coming after Monty Python and before Kids In The Hall, The Frantics are the creamy center in some kind of perverse comedy sandwich guaranteed to taste better the second time around. 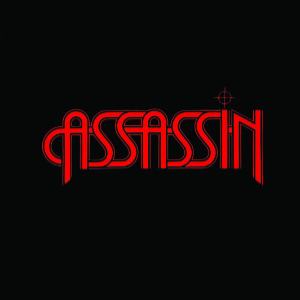 Amidst the lightweight hair bands of the 80's, San Diego's Assassin were balls out rockers from the scene that produced Ratt, Rough Cutt and Jake E. Lee. Legendary at home, respected overseas and now finally given some long overdue attention with the first ever release of their 1984 self-titled debut album. This is a lost rock classic that now lays claim to it's rightful place in music history.